When I began my tenure as math coach for my middle school, I came into the position thinking I could bring something fresh to this idea of support. Four years in, I'm learning that every instructional coach forms a set of relationships and dynamics with colleagues in his or her respective department. 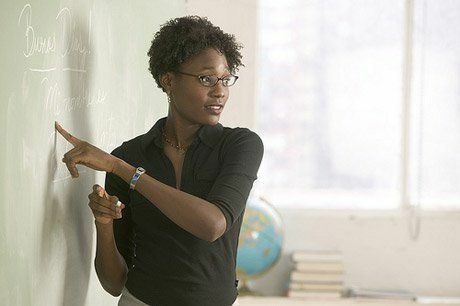 Every teacher leader struggles between winning everyone over and positioning him- or herself as a true liaison for administrators and teachers. With that said, here are three do's and three don'ts for transformative teacher leadership. You'll note that all of these ideas prompt us to find balance, the most important part of transforming any environment. When the principal calls us into the office to become a "teacher leader" (a loose term in and of itself), it means we've now crossed a proverbial bridge. One of the caveats for doing so is that we have to learn the art of speaking to both administrators and teachers with a certain amount of care, focus and professionalism. For the most part, teacher leaders have to leave behind some of the ways we communicate with fellow colleagues, and focus instead on overarching themes and visions for the school. At first, it might sound like you've somehow "sold out" or given in, but really it just means you've learned how to make your points so that all parties must listen. Let's be honest: the teachers' lounge is a sacred space in a school where teachers and other staff vent their frustrations about what happens in and around the school. While we teachers need a space like that for our mental health, it can also weigh people down. For a teacher leader, especially one who needs to help transform, the teachers' lounge can often hold such a leader back, especially if he or she listens too often to the gossip and complaints. Plus, it's easy to get pulled into the chatter, which could spell disaster for teacher-administrator relationships if the teacher leader is part of that. In order to do the best job possible, we need to have some contact with our main constituents: our students. Without students, what we do as teachers has little relevance. We can't just focus on the materials in front of us and think we do the best job possible for the school. If you can negotiate teaching or co-teaching a class for eight to ten periods a week, that gives you insight into the students and buy-in with your teaching colleagues. After a while, we may get huge tasks that occupy large amounts of our time, but the worst thing we can do as teacher leaders is to disconnect ourselves from the rest of the school community. When we get certain rooms or spaces all to ourselves, this tempts us to work on our own so that we can get our task done in complete silence. Yet it also allows us to hide from the rest of the school. We ought to stay connected to the rest of the school, understanding the school culture and, ultimately, as many students as possible within our realms. Everyone has expertise in some way, shape or form. Some teachers have great organizing skills (who doesn't need this?!). Others understand how to put together curriculum materials. Still others have mastered building great teacher-student relationships. Rather than focus on deficiencies, we can play to our colleagues' strengths and ask them to lead a meeting or workshop on that specific talent. Also, we as teacher leaders can sit there and acquire the skill from that person and make it part of our arsenal. I haven't met a teacher yet who didn’t share 85% of his or her secrets, especially if it's to the benefit of the school. Some of us readily take on leadership positions. Others, however, feel strange taking on too much all at once. While we can prod and push, we may not want to work our colleagues too hard, as they might jump ship altogether. We don't know the reasons why they refuse to cross certain boundaries and, as teacher leaders, we have to learn how to step back and see their efforts for what they are worth. It doesn't make them any more or less valuable or important than us in the grand scheme of things. It just means they may not be ready at that particular moment. What's more, schools nowadays look for people who know how to provide sustainability within their organizations, creating leadership in an iterative process. In the same way that I've advocated for students to not depend on teachers for answers, teacher leaders need to help colleagues see themselves as empowered and self-sufficient, ready to seek professional development and best practices from within their own ranks. Ultimately, transformative teacher leadership means elevating your colleagues along with yourself. We won't win 100% of the time, but as long as we keep students in the forefront of our minds, then we do a great service in helping others find their inner leader.